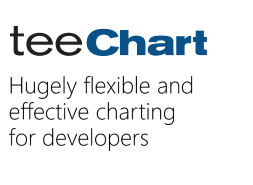 This is to inform you about the availability of the latest TeeChart for PHP 2018.03.07.000 maintenance release. This new release adds backward compatibility of PHP versions, new DownlSampling Function and other improvements and minor fixes to the source code. Version history for every build can be viewed at the product release notes. This new release is available for the Licensed Pro version and for the open-source version and both include the same features and source code. Take a look at the feature comparison table to learn more.